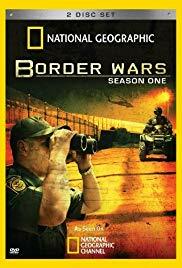 Border Wars is an American documentary television series on the National Geographic Channel. The program follows agents of the U.S. Border Patrol, U.S. Customs and Border Protection, Immigration and Customs Enforcement, and other divisions of the Department of Homeland Security as they investigate and apprehend illegal aliens, drug smugglers, and other criminals violating immigration to the United States and customs laws. The series also follows Air Interdiction Agents, and Marine Interdiction Agents who patrol along the U.S.-Mexico border, as well as southern Florida and Puerto Rico.